The Fucile Mitragliatore Breda modello 30 was the standard light machine gun of the Royal Italian Army during World War II. 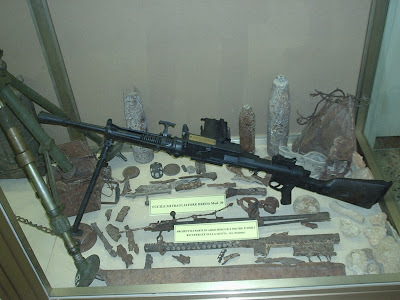 The Breda M30 or Breda 30, was rather unique for a light machine gun. 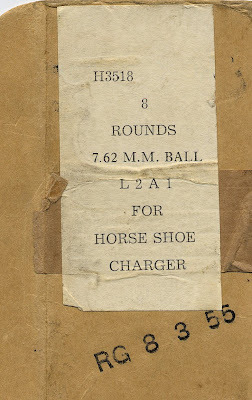 It was fed from a fixed magazine attached to the right side of the weapon and was loaded using brass or steel 20 round stripper clips. If the magazine or its hinge/latch were damaged the weapon became unusable. It also fired from a closed bolt along with using blowback for its action. Blowback operation could be violent, with poor primary extraction. 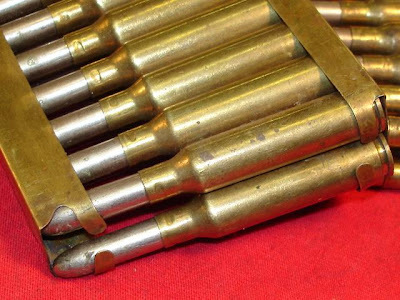 During primary extraction, the initial very small rearward movement of the hot expanded cartridge case away from the chamber's walls must be powerful but very slow, if an automatic weapon is to be reliable. Separated cases, jamming the gun beyond field clearing, are the usual consequence of poor primary extraction. 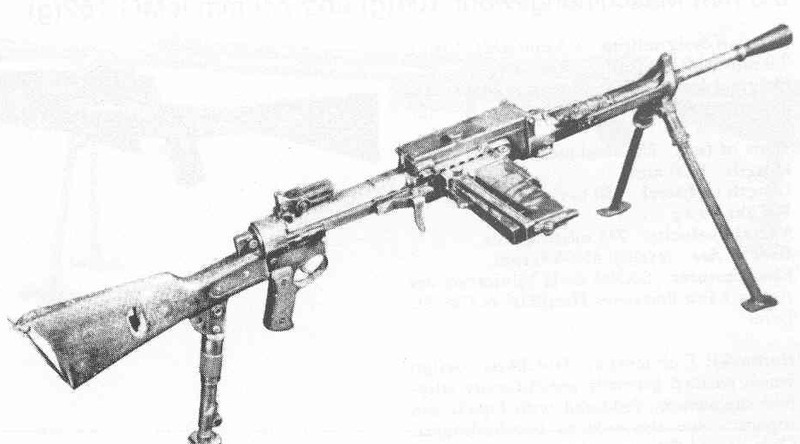 As an automatic weapon's chamber and barrel heat up with prolonged automatic fire, the resulting excessive temperature can cause a chambered round to cook off or ignite without intent of the gunner. 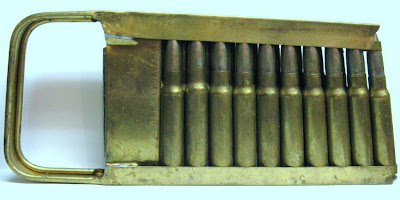 As a result of firing from a closed bolt, the Breda 30 could not fully take advantage of the cooling properties of air circulation like an open bolt weapon could, thus making cooked off rounds a realistic hazard. 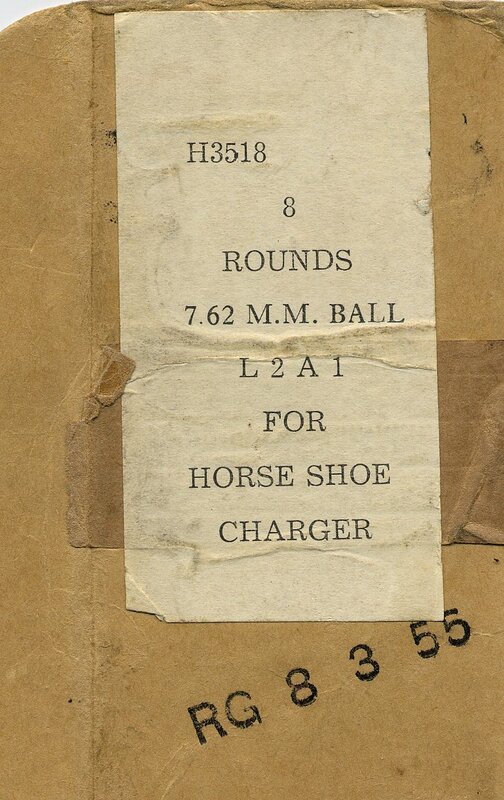 The disastrous results could lead to potential injuries to or even the death of the gunner. The Breda 30 also inherently lacked good primary extraction in its design and thus utilized a small lubrication device that oiled each cartridge as it entered the chamber. With the dust and sand of the deserts of North Africa, came a combination of premature wear and jamming. 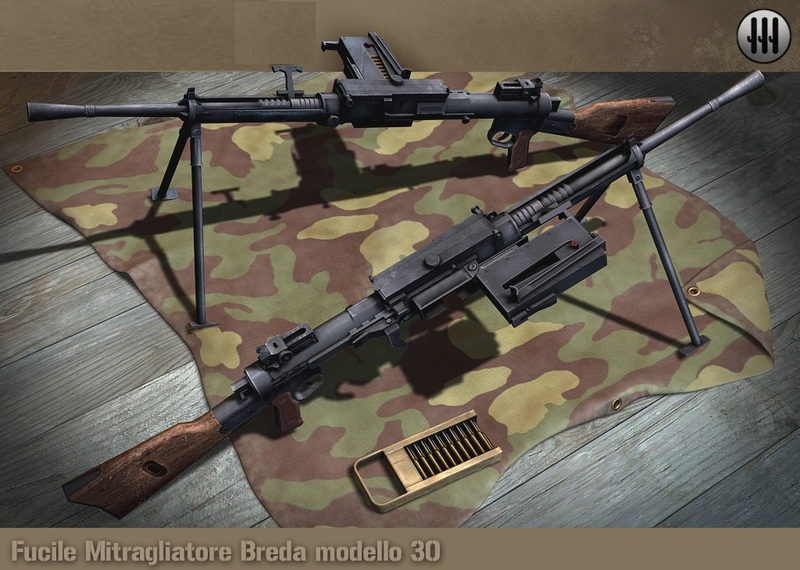 Some Bredas were re-designated as the M37 after being modified to accept the new 7.35 mm cartridge, which the Italian Military was making an effort to adopt; however, this was short-lived as slowed production never fully allowed adoption of the new cartridge. 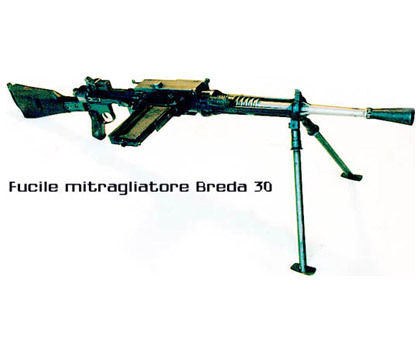 The Breda 30 was also mounted on a number of Italian armored fighting vehicles. 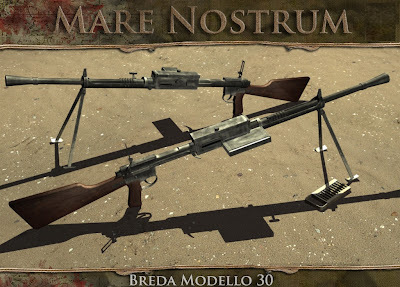 In regular Army units, one Breda 30 was issued each two squads, although this was later changed to one weapon per squad; an Italian infantry company would therefore have four to eight light machine guns in the first part of the war, but up to twelve in the latter part. Due to the importance of its extra firepower, the Breda 30 was most often given to the squad's most reliable soldier (unlike other armies of the time, it was not rare to see an NCO brandishing himself the squad's automatic weapon). 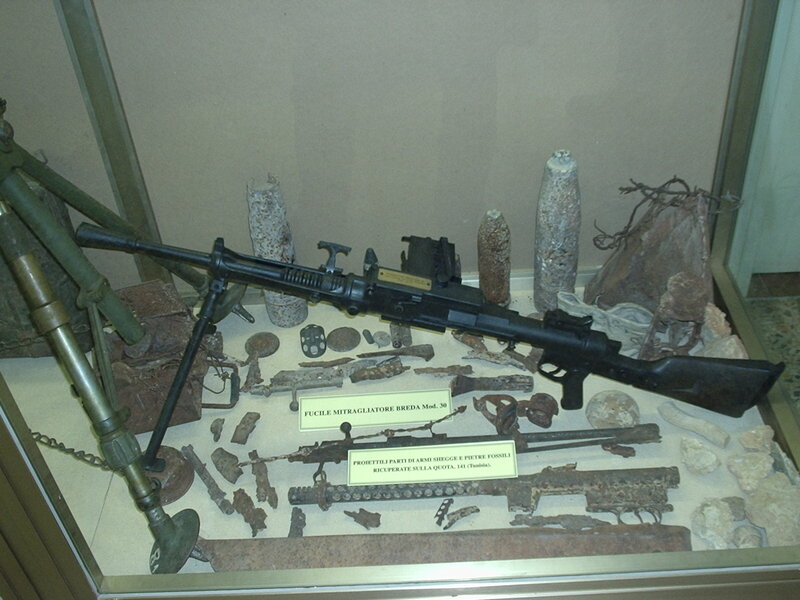 The gunner normally had an assistant who would carry extra ammunition.